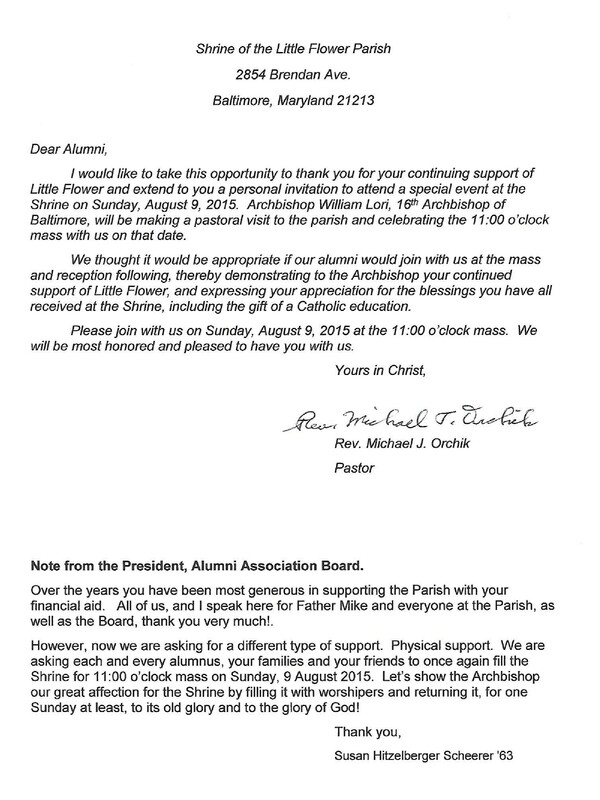 Shrine school building following the 11:00 o’clock mass and lasting until 2:30 P.M.
honor the Archbishop and welcome him to the Shrine of the Little Flower. (hsinn2@comcast.net), no later than Tuesday, July 28, 2015.
to sing at the mass. Our thanks and appreciation go out to the entire ensemble. preservation of Irish culture and history through music. and includes a variety of patriotic, spiritual, ballad, sea chanty, and fun songs. Our director is Mr.
the school auditorium for those in need. contact Bob Campbell (410-933-3666) or (hsinn2@comcast.net).